Nature, history and culture. You will find those and much more in this adventure. 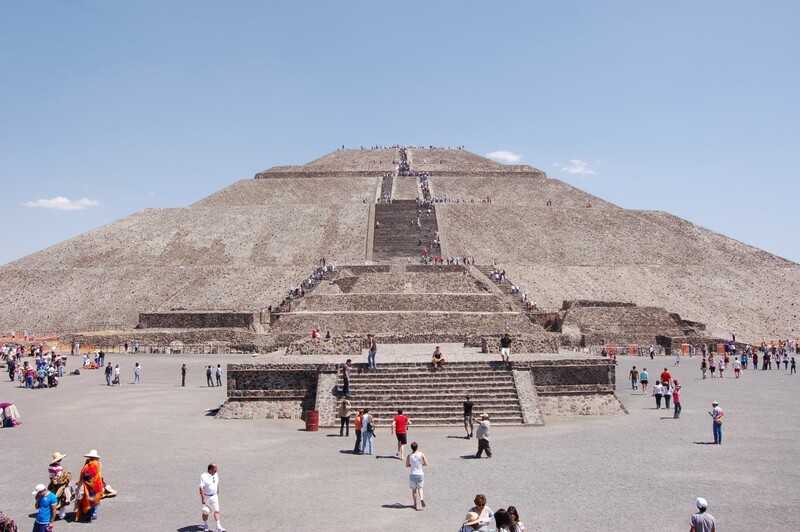 Begin your journey in Mexico City visiting Teotihuacan archaeological site. 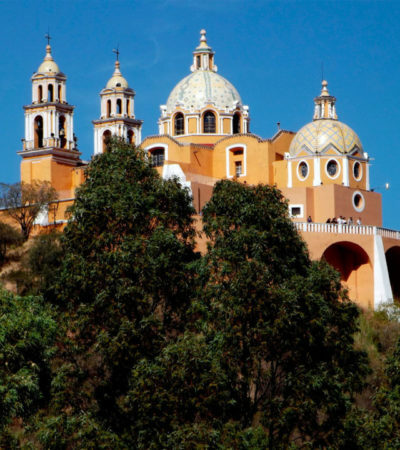 Then, visit Cholula and Puebla. Continue to Yucatan Peninsula and discover the ancient Mayan cities. You will have free time to enjoy at the beach. Be ready and live the experience! **Note that Cholula and Puebla tour and Mexico City tour does not operate daily. Please contact us and indicate to your travel consultant the dates of your tour so we can adapt your itinerary at your convenience. Learn about two of the largest pre-Hispanic cultures. Visit Puebla, an UNESCO World Heritage Site. Visit the most emblematic archaeological sites of Mexico. Shared transportation for all scheduled activities excepting on day 7 (Private transportation this day). Breakfast daily at hotel while your stay in Mexico City and Mérida City. Entrance fee at Teotihuacan, Cholula and Puebla, Uxmal and Kabah, Chichen Itza, Yokdzonot Cenote and Tulum archaeological site. Entrance fees not specified in the inclusions. Welcome to Mexico!  Upon your arrival at Mexico City International Airport you will meet your driver and you will be transferred to be settled in your hotel. You will have a free night to rest. Be ready, this multi destination trip is about to begin! Today you will be guided to the ancient ruins and pyramids of Teotihuacan, City of the Gods. This is the most visited archaeological site in Mexico. Visit the imposing Avenue of the Dead and the Temple of Quetzalcoatl. 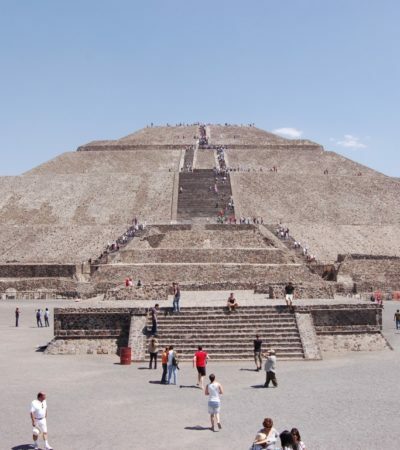 If you wish, you will be able to climb the Pyramid of the Sun and the Pyramid of the Moon. After your visit you will have free time to discover Mexico City by walking around the Historic Center own your own. 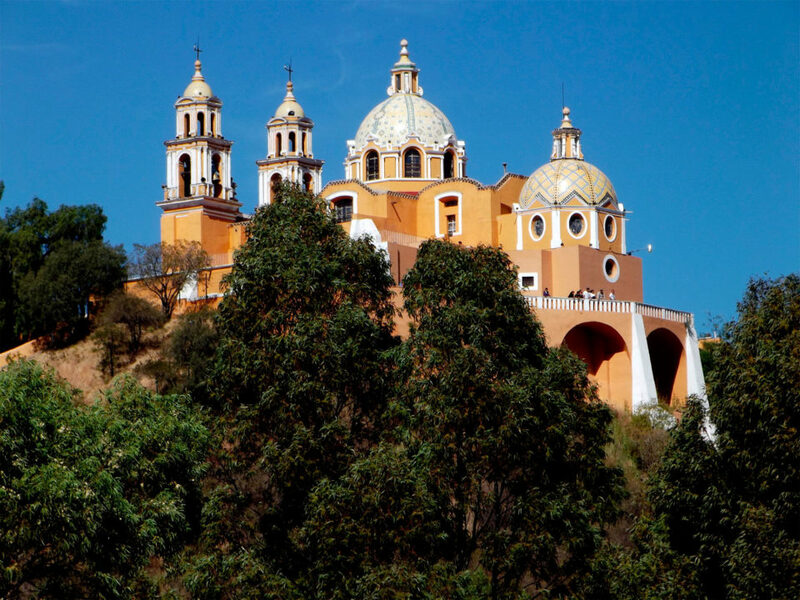 Enjoy the Cholula and Puebla tour from Mexico City. You will visit two beautiful colonial cities near the capital. You will arrive at the most famous of the Magic Villages of Puebla to know the Pyramid of Cholula that has a height of 64 meters. There you will visit its magnificent tunnels with beautiful murals, all this located between seven constructions. You will be transferred back to Mexico City to your accommodation. Today you will be transferred to Mexico International Airport (MEX) to take a flight to Merida International Airport (MID). Arriving you will meet your driver who is going to take you to your hotel to check in. Once settle in, you will have free time to relax and enjoy on your own. It’s time for some local Mexican food! Today, you will sample authentic Yucatecan food in the Merida Street Food Tour. You will taste the most popular meals in a short period of time. In this walking tour you can try some fruits, juices, cochinita pibil, lechon, tamales, panuchos, empanadas and seafood. In the afternoon, you will have free time to explore the city on your own. During the morning you will travel by bus to visit the Mayan archaeological site of Uxmal, the "three times-built city". At Uxmal you will be impressed by the 115 feet high Pyramid of the Magician and the imposing Governor's house, a wonder of the ancient world for its precision and architectonic beauty. After that, you will visit Kabah Mayan ruins where you will find buildings with a well conserved Puuc architecture style. Then, you will travel back to Mérida to spend the night there. Today you will continue your travel to Cancun; on the road, you will visit the famous site of Chichen Itza. This important center combines majesty and nature. 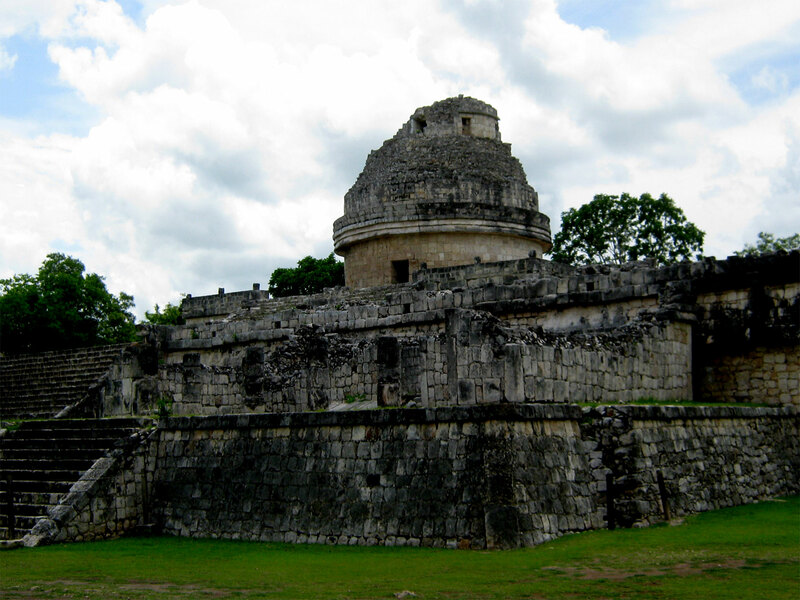 A guide will explain the splendid Castle and share with you the vast knowledge the Mayas used to have about the cosmos, math and science. 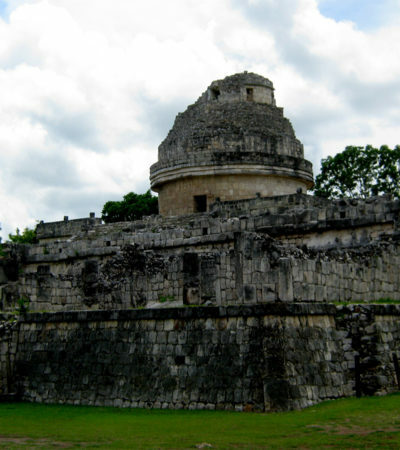 There, you will find the biggest ball game court of the Mayan world. After that, you will be transferred to your Hotel in Cancun, once settled in, you will have time to relax and have leisure time at your hotel. 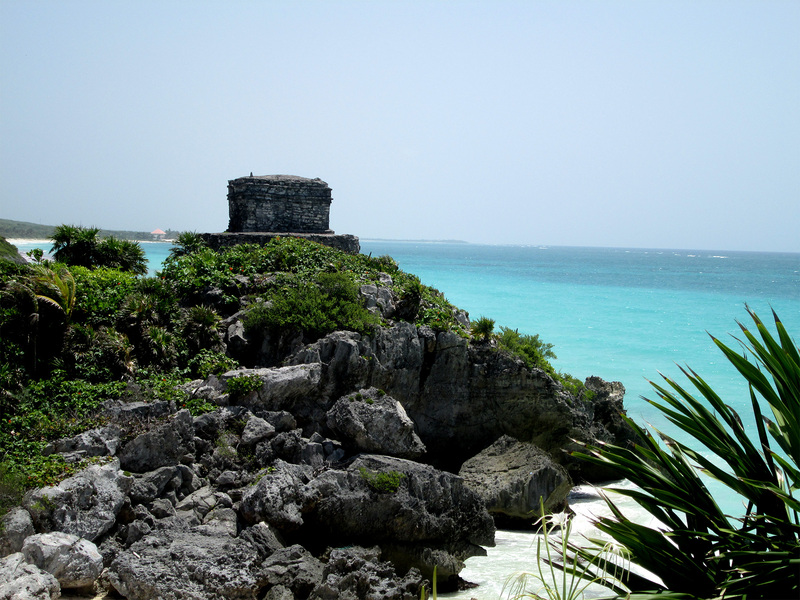 Today you will learn more about the ancient Maya civilization visiting Tulum archaeological site. These Mayan ruins standing along the Caribbean coast were probable built to protect the city. You will be impressed by the well-preserved buildings that still conserve some pigments of their ancient colors. Then, you will have free time to swim in the beautiful turquoise waters besides the ruins. This is your last day of your journey in Mexico. You will enjoy a free day inside of your Hotel. Relax on the beach, enjoy the weather, sample some Mexican food and create more memories.